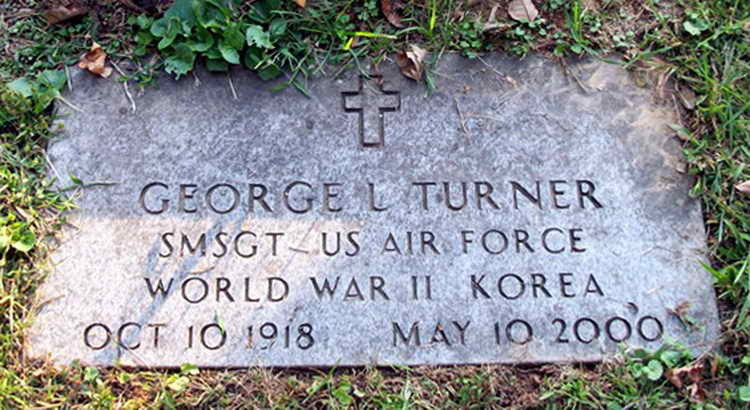 Grave marker for George L. Turner in the Greenwood Cemetery, Sistersville (Tyler), West Virginia. George enlisted at Ft Hayes, Columbus, OH and had a preference for the Air Corps. He, however ended up in the Airborne instead. Pvt Turner went through basic training with the 507th PIR and was a member of the cadre team for the 508th. Following the war he re-enlisted on 23 April 1946. When the US Air Force was created in September 1947 many men elected to transfer to the new organization becoming what was jestingly referred to as the "brown shoe corps". Since the uniform items initially remained the same, with the exception of enlisted stripes, there was little distinction until the supply chain began issuing blue uniforms and black shoes.